Whisky finishes are funny things. If you’re over the age of about 40, male, and festooned with an unkempt beard, then whisky finishes are the devil’s work. 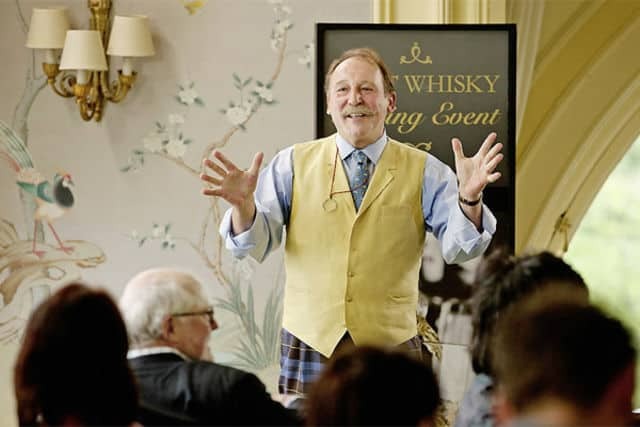 (Some 15 years ago, whisky writer Michael Jackson commented on these “whisky fundamentalists”.) If you’re nearer 30, a hipster male with a neatly trimmed beard, then finishes are the latest, trendiest thing outside of a Shoreditch club, despite finishes having been around for decades (Glenmorangie was probably the first). The more considerate whisky drinker? Well, she will most likely just approach a finished whisky with an open mind, and I would agree. She will think: some are good, some are bad, but all generate discussion around Scotch whisky, and that’s the important thing. 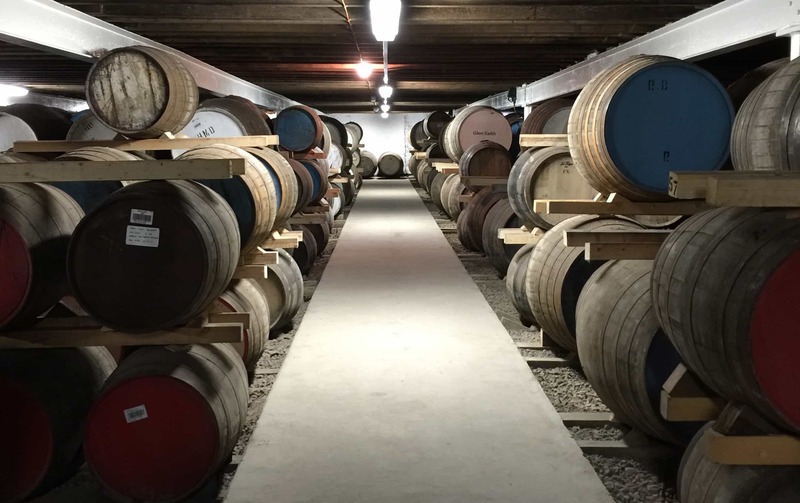 Some finishes add depth and flavour; indeed, some hide the lack of flavour or bad flavour that comes from poor casks, of which there are a lot in today’s whisky industry. As for me, I rather like finishes. Whisky is the most remarkable drink – objectively the most complex spirit – and how it interacts with wood is amazing. Why not try something out in the name of experimentation if it means achieving a more sublime flavour profile? Some bottlers such as Murray McDavid have made a name for themselves in the trade for their finishing, and more often than not they get things right (the featured picture at the top of this page was taken in their warehouse at Coleburn). Let’s not hide from the simple fact that finishes attempt to change what was there originally. It’s the intention of the change that matters, and I like to think that most of it is good. That most whisky makers view finishing as alchemy, or at least kitchen sink improvisation. It isn’t about flavouring the whisky in the obvious sense – which is not to say, you dump a load of port in a cask of whisky – because the wood’s all cleaned up beforehand. It’s also about what the previous contents have done to the wood. How it’s interacted with the wood. And what’s left over in the wood to interact with the whisky. Each of these different sizes, species and origins of casks will do something extra, where wood and whisky does that indefinable, oxygenation thing. Generally speaking between 6 months and 2 years extra in these casks is considered a finish. If it stays in that cask for much longer it’s thought to be a double maturation, though the rules on this are not too precise (if real at all in any formal sense). But today I have two very different finishes to review. The question, as ever, is rather simple: do they work? 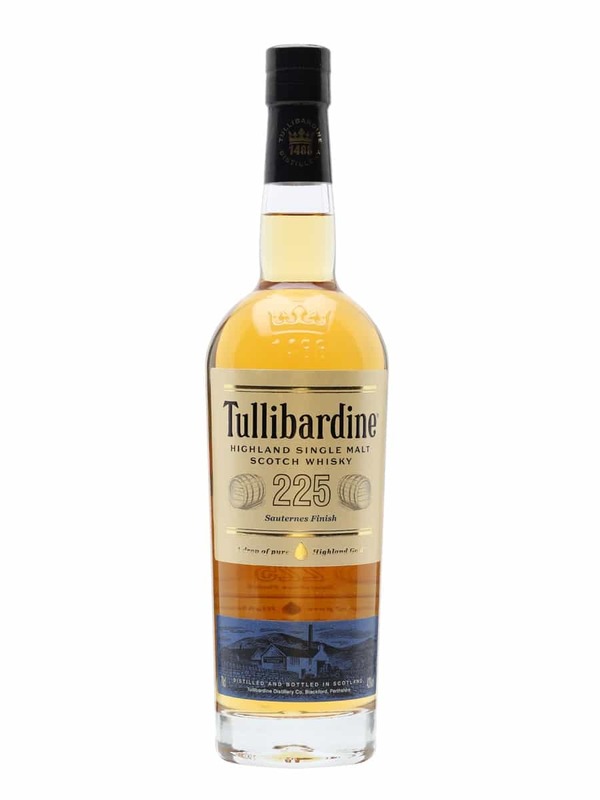 This has been matured for 10 years in bourbon casks, and then two years in a Caribbean rum cask. These, interestingly (or not) would more than likely be the same wood species of Quercus alba. Merely the previous contents were different. A limited edition, it’s bottled at 56.1% ABV, but costs well over £100 now. Colour: yellow gold, rather pale. On the nose: heavily loaded down the sweet end of the spectrum. Vanilla, yes, but golden syrup Scottish tablet. Barley sugar. Peaches. Oranges. Nutty, with marzipan. A little bit of citrus and coastal vegetation begins to show with time. Any peat is concealed at first and takes quite a while to manifest (note: on the second sample, on the second night, the peat was far more apparent). 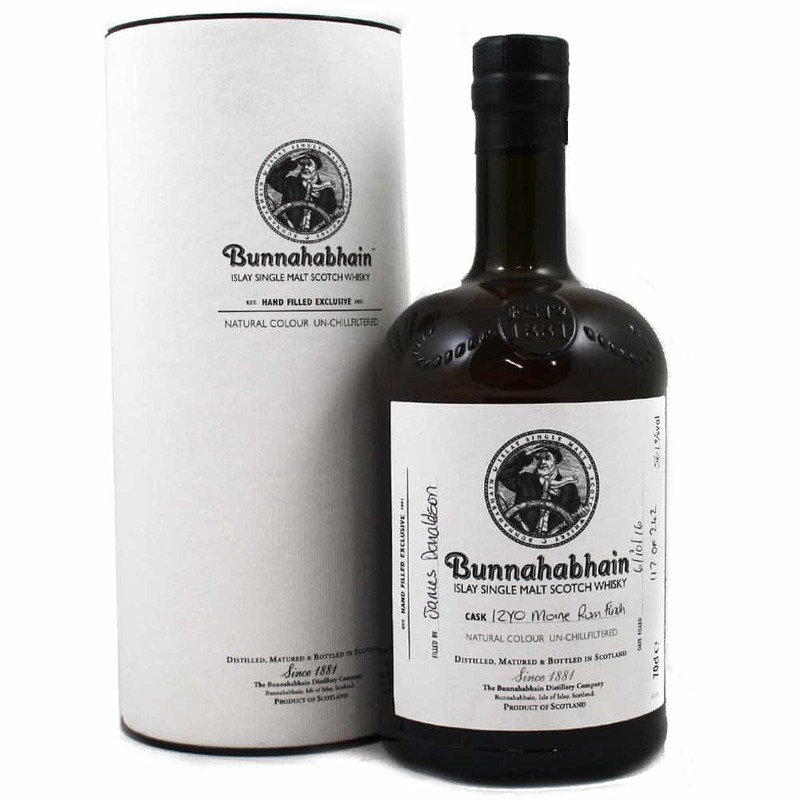 You would most certainly not think this is a Bunnahabhain until it comes through. In the mouth: now the peat comes into play and it completes the nose. There’s a wonderful earthy, smokey depth – a slightly sour, tannic peat, Lapsang souchong quality. That vegetative, herbal (thyme) and occasional medicinal quality rejoins the rather cutting sweetness: the golden syrup and vanilla, with brine and citrus again. It’s not occupying swathes of the flavour spectrum, but what is expressed here is done so beautifully. It genuinely grows on you, and after two nights this comes across as brilliant – the balance between these flavours is properly effective. This has been finished in Port Wood (European oak, Quercus robur) for 4 years after being in an ex-bourbon cask (Quercus alba) for 16 years. That, in my opinion, is more a double maturation. It’s bottled at 54.2% ABV. On the nose: at first there was a lovely mustiness, but that faded almost too quickly. Plums, chocolatey, ground almonds. Cherries and marzipan. Sandalwood. Sultanas. Tea pots. Heather honey. Blood oranges. Rather lovely. In the mouth: dry, thick and cloying, with a hint of tart acidity. Blackberries, blackcurrants, damson jam – very much the dark fruits, but not necessarily the dried fruits. Pepper and nutmeg. Black cherries. A fair bit of oak and a brisk finish. Very much a warming, spicy dark fruit sensation one might find after a Claret. The texture of this is also very nice and thick, yet it all feels a little one-sided, not quite wholly balanced and rounded. This is a finish that, for me, only just about works well, especially as I expect very good things from Deanston these days. That Bunnahabhain is very interesting. Creative even. It triggers some memories of old Ardbegs – but just for a moment – which arrive at these flavours via different means. 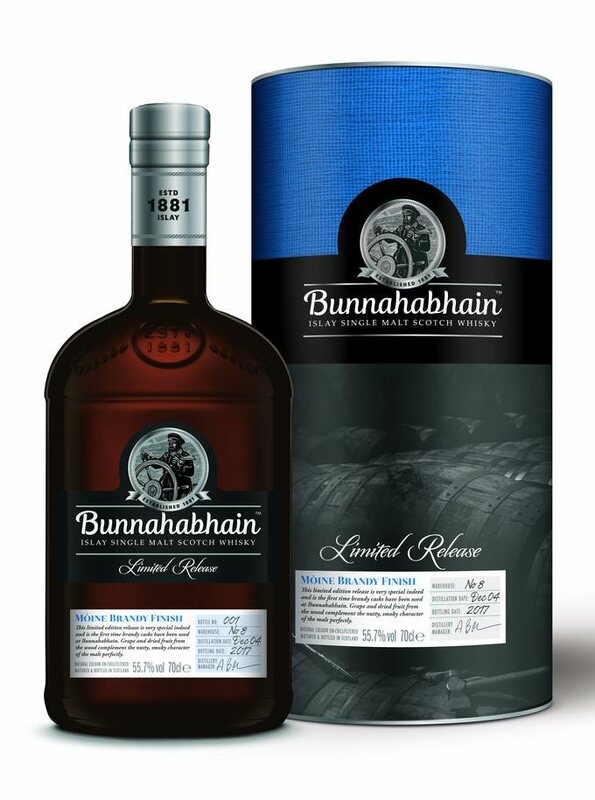 It isn’t quite as sophisticated as those vattings obviously, which draw from more ingredients to make a single malt, but it’s absolutely the most interesting thing that Bunnahabhain have released in ages and the best peated dram I’ve sampled all year. Wonderfully tasty. Quite steep in price? Perhaps. In a moment of recklessness at auction I’d probably go mad and buy it. The Deanston, alas, did not have the same magic yet it was pleasant enough. I revisited it a second night and felt better about it, but it lacked a certain finesse and depth. Deanston makes some fabulous whiskies, but this was merely good. You can’t win ’em all, can you? I can’t help wonder: why you would want to finish whisky (for four years) that had spent sixteen years maturating? That’s a long time to get flavour, so was the Port Wood finish to give dull whisky a bit of a kick? What’s the thought process is this particular instance? This is one of the other beauties regarding whisky finishing: endless speculation and discussion. And that’s a good thing. Whisky deserves debate, because it is far more complex than any other spirit – finishes remind us of this. Thank Mark, i love to read your article, i dont have change to taste all kind of whisky but through i cant feel the best whisky for me.